Instagram has always been generous in sharing their accumulated wisdom. Just take a look at the Related Articles section of this post to see how generous. The tradition continues. 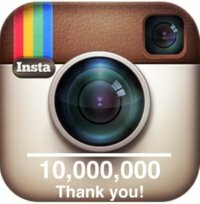 Mike Krieger, Instagram co-founder, wrote a really good article on lessons learned from milestones achieved during Five Years of Building Instagram. Here's a summary of the lessons, but the article goes into much more of the connective tissue and is well worth reading. Do the simple thing first. This is the secret of supporting exponential growth. There's no need to future proof everything you do. That leads to paralysis. For each new challenge find the fastest, simplest fix for each. Do fewer things better. Focus on a single platform. This allows you to iterate faster because not everything has to be done twice. When you have to expand create a team explicitly for each platform. Upfront work but can pay huge dividends. Create an automated scriptable infrastructure implementing a repeatable server provisioning process. This makes it easier to bring on new hires and handle disasters. Hire engineers with the right stuff who aren't afraid to work through a disaster. Don’t reinvent the wheel. Instagram moved to Facebook's infrastructure because it allowed them to stay small and leverage a treasure trove of capabilities. Nothing lasts forever. Be open to evolve your product. Don't be afraid of creating special teams to tackle features and adapt to a rapidly scaling community. Instagram Strategy To Radically Reduce Traffic: Kill All The Spambots! Instagram Improved Their App's Performance. Here's How. Instagram Architecture Update: What’s New With Instagram? Rule #5 can be applied to almost anything. Awesome post! !, Especially the fact that "Nothing lasts forever"